There is certainly no way anyone can convince me that Ekiti state governor Ayodele Fayose did not anticipate a defeat in the July 14th, 2018 election to replace him. Likewise, only a greenhorn in the arena of Nigerian political discourse would have expected a win for the PDP in that election. The election has been won and lost, now let us attempt an objective interrogation of some factors that determined its outcome and perhaps draw a lesson or two therefrom. Flashback to 2014; In the run-up to the 2015 general elections former President Goodluck Jonathan was reportedly convinced by the South West PDP stakeholders that the party needed Ekiti to effectively combat the APC in a region that ultimately turned out to be the battleground for the presidential election. Jonathan was said to have dispatched a group of foot soldiers which included Senator Omisore, Chris Ubah and a certain Brigadier General Aliyu Momoh to do the rigging job. Led by the former Minister of State for Defence Senator Musiliu Obanikoro they scandalously but successfully subverted the will of Ekiti people and Fayose defeated the incumbent Fayemi to emerge as governor. Fast forward to 2018; All who were instrumental to Fayose’s emergence as governor have neither control nor influence at the centre as the baton had changed hands. Omisore who was allegedly betrayed by Fayose in the Osun gubernatorial election of 2014 recently joined the SDP to give it another shot in September. Likewise, Obanikoro has decamped to the APC while Chris Ubah’s relevance in the PDP has somewhat diminished after losing out to Peter Obi in the Anambra state party primaries. Brigadier General Aliyu Momoh was sacked by the Nigerian Army in 2016. Locally Fayose also suffered from self-inflicted injuries. He had promised to leave with his deputy after completing his tenure but later made an about turn to impose him as the party flag bearer. This did not go down well with many and triggered the exodus of high profile politicians from the PDP. Leading the way was Cyril Fasuyi, a party financier and the party leader in Ido-Osi LGA. Fasuyi’s departure was followed by that of Prince Dayo Adedeye who stepped down for the governor in the 2014 primaries. The former Minister of Works left the PDP for APC with his supporters. Then just before the elections, Senator Raji-Rasaki delivered the final blow to Fayose when she led a Member of the House of Representatives, the Chief Whip of Ekiti State House of Assembly and the Attorney General of the state alongside thousands of supporters to the APC mega rally attended by President Buhari and Asiwaju Bola Tinubu. It was obvious that Emperor Fayose will dance naked. Another significant factor that worked against Fayose was his inability to pay salary arrears owed to workers. Fayemi himself owed workers during his time at the government house but Nigerian workers live by the month and couldn’t care less who is in power anyway, most just want to get that alert at the end of the month and were willing to gamble on the ‘previous devil’. And then there was the alleged widespread vote-buying which was caught on camera. It was said that part of the reason Fayemi lost the last time was his inability to connect with the grassroot and woo them with stomach infrastructure. The man obviously learned his lesson and came back stronger to outsmart Fayose in his game. Firstly, he picked a running mate who is a veteran and in the same mold with Fayose. Then he distributed rice and food materials across the state, and finally, his party allegedly offered N5000 against N3–4000 offered by PDP. 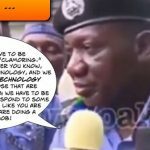 But perhaps the most calamitous determinant of Fayose’s cloudburst can be traced to his well-known history of logorrhea, disrespect, and pomposity. His predilection for insulting elders is legendary and he definitely crossed the line with his infantile ‘death wish’ advert during the 2015 campaigns which even the PDP denounced. Soldiers are used to action and not words. President Buhari is a soldier who is also a veteran in Nigerian politics, one doesn’t need to be a seer to know that all of Fayose’s tantrums will inevitably be paid back in kind. So while the Rock of Ekiti was busy making noise the path to his Waterloo was being quietly but elaborately designed. While its a shame that our politics is still being played in this manner and that an election is often determined by extraneous factors other than the masses it will be realistic to point out two major observations. For one, Nigerian workers are increasingly becoming aware of their importance. If you owe salaries then be prepared to lose their block votes for as they say “ a labourer is deserving of his wages”. I was in the field during the last governorship elections in Anambra, many of the workers and indeed other regular people I interacted with attributed their support for Governor Obiano whom they nicknamed ‘the alert governor’ to his prompt payment of salaries. Many reports on social media platforms claimed the Ekiti state workers had it up to neck with some being owed up to seven months. Surely no worker will vote for that to continue. Secondly, when they say that votes don’t count I ask why do politicians buy something that doesn’t count? Again, the same scenario played out in Anambra where the two leading parties induced voters with money but the incumbent still won all the 21 local governments. Even if its hypothetical it may not be far-fetched to suggest that the electorate appears determined to take back what they can from politicians but still vote their conscience during the elections. There have been many proposals to curb the growing menace of “cash for votes” which some have even labeled “legit electoral malpractice’. The Independent National Electoral Commission (INEC) however makes it clear on the Frequently Asked Questions (FAQ) section of its website that a fine of N500,000 (Five Hundred Thousand Naira) or twelve (12) months imprisonment, or both is the punishment for any offender found guilty of this. 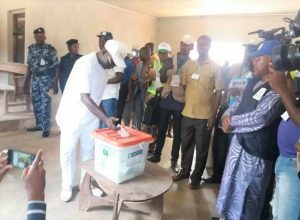 However, from my experience, I have discovered that while the security agents assigned to polling booths are always given clear instructions to maintain law and order there is often no concise directive on how to handle inducement of voters by party agents. There is a need for INEC to collaborate with the security agents to address this niggling issue and find a workable solution. By and large, I believe that the overarching approach would be for the government to heed Bill Gate’s timely advice and prioritise investment in human capital. There is an urgent need to overhaul the education sector, inject massive funds therein and ensure the implementation of an articulate plan for mass literacy. It is only then that we can begin to witness a reduction in thuggery, vote buying and other electoral malpractices for a well-informed electorate is a prerequisite for democracy. 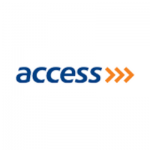 Next article Access Bank Internship.